The automobile is a fast and complex industry. Daily millions of automobile parts and vehicles are made by using cutting-edge technologies. Among these technologies, the augmented reality is such a catalyst which is making the entire process easier and interactive. It is not only saving millions of dollars but also saving precious time from various manual processes. The future of augmented reality in the automobile industry is as fast as the supercars. Companies are trying to use various applications of AR into their multiple processes. From choosing the optimal vehicle structure to enhanced security systems, car manufacturers are very serious about their work environment. Now, using the AR, the engineers can test their new design or safety prototype in just a single click. They don’t even need the real car to test and find out bugs. The virtual environment of AR will let the engineers to keenly analyse each part of the vehicle without compromising on quality. The car showrooms are creating a full AR room where the customer can customise his dream car. From changing the colours to tyre alloys, from seat covers to headlights, everything can be visualised using AR. Along with this, companies are also using the Virtual Reality technology to take the experience to a whole different level. 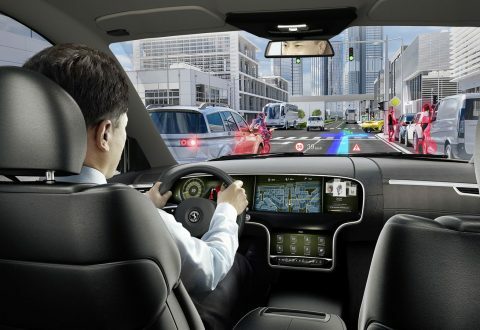 The augmented reality automobile showrooms are the future of the automobile industry. Yes! This is true and crazy also, now by using the augmented reality it will be very easy to find out the problem in the vehicle. By the AR application, when anyone will scan the car, the application will match the actual parameters with the car parameters which will be different from the actual one. And by calculating the difference and affected area, the app will notify about it. Amazing technology right? We are also working on the augmented reality applications for the automobile industry to make the process more smooth and easy. If you also need AR services for your any work, you can check out our various services for your every need. 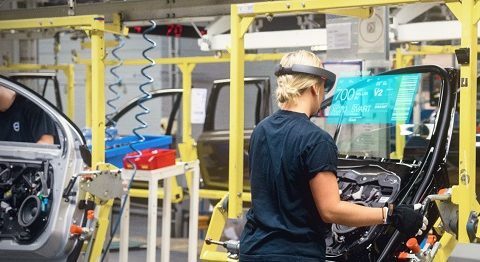 The future of AR in the automotive industry is progressive. As with time, when more resources will be available, we will see more wonders which will make our vehicles more safe and fun to drive.